We are about ready to pick up our annual shrimp supply for the next year (about 50 pounds), fresh off the boat, but there were a couple of pounds from last year’s “crop” that needed to be finished off, tonight a classic Shrimp DeJonge with a side of broccoli salad and a dessert that I haven’t made in ages, a Classic vanilla bean crème brûlée. The shrimp dish is easy enough and I made just half the original recipe and the only major adjustment was reducing the shrimp cooking time in the salted water—1 minute, drain immediately and plunge into a big bowl of prepared ice and water. Drain completely once shrimp is completely cooled, cover, and refrigerate shrimp until ready to use. Now here is where I can say that the entire dish can be prepared ahead and baked just before serving time. This makes great company dinner with a nice crusty warm loaf of bread and a big salad. Created at de Jonghe’s restaurant in Chicago, this dish is a memorial to a time when we were afraid of garlic but not of butter. The amount of garlic in it was considered outrageously racy. Cook shrimp in a 4-quart pot of boiling salted water * until just cooked through, about 1 1/2 minutes. Drain shrimp in a colander, then immediately transfer to a large bowl of ice water to stop cooking. Press garlic through a press garlic press and add fresh and dried herbs, shallot, onion, 1 1/2 sticks (3/4 cup) butter, 1 cup bread crumbs, nutmeg, mace, 3/4 teaspoon salt, and 1/4 teaspoon pepper. 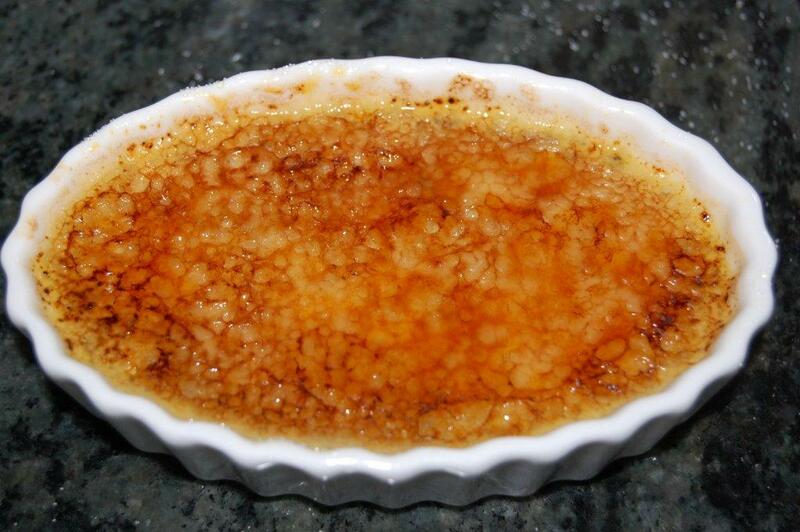 Melt remaining 1/2 stick butter and stir together with remaining 1/2 cup bread crumbs, 1/2 teaspoon salt, and 1/4 teaspoon pepper to make topping. 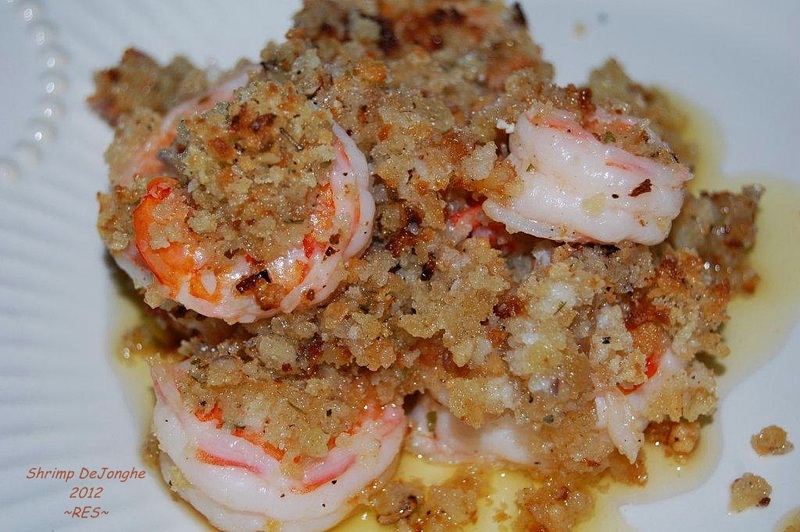 Arrange shrimp in 1 layer (slightly overlapping if necessary) in a buttered 3-quart flameproof gratin dish or other wide shallow ceramic baking dish. Cover with herbed breadcrumb mixture, then sprinkle with topping. Bake in upper third of oven until golden, about 15 minutes. Turn on broiler and broil until crumbs are golden brown, about 2 minutes.